One of the UKs most popular wine kit ranges These Gold Range kits make 23 litres of wine in the s.. These Gold Range kits make 23 litres of wine in the style of commercial, and have been getting rave .. This solomon Grundy Gold 6 bottle wine Cabernet Sauvignon kit makes 6 bottles of wine in the style o..
One of the UKs most popular wine kit ranges These Gold Range kits make 6 bottles of wine in the s.. 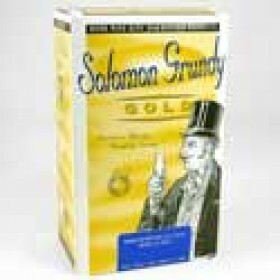 This solomon Grundy Gold 6 bottle wine Piesporter kit makes 6 bottles of wine in the style of commer.. 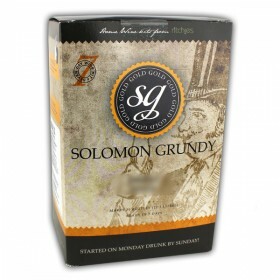 This solomon Grundy Gold - Sauvignon Blanc - 30 bottle wine kit makes 23 litres of wine in the style.. This solomon Grundy Gold 6 bottle wine Sauvignon Blanc kit makes 6 bottles of wine in the style of c.. 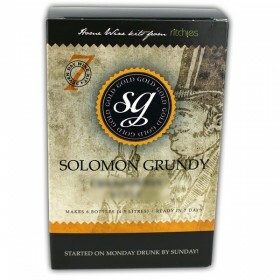 This solomon Grundy Gold 30 bottle wine shiraz kit makes 23 litres of wine in the style of commercia..